You never know who you are going to get. Yahoo has announced that starting mid-July, it is going to begin recycling email addresses. All Yahoo email addresses that have been inactive for 12 months or longer, will be made available again. 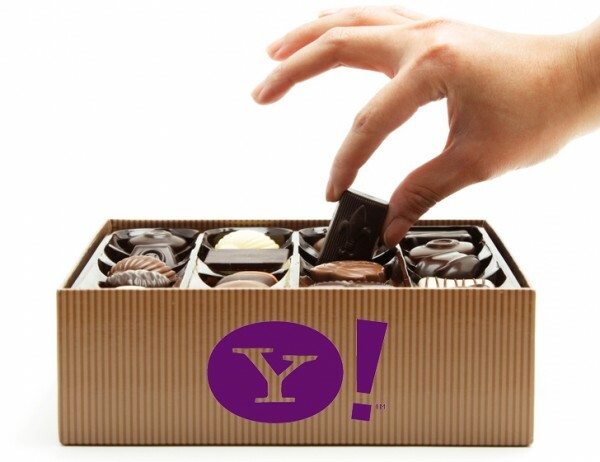 Users will be able to stake claims on desired and expired Yahoo email addresses on a first-come, first serve basis. This sounds like a fun thing for Yahoo users who want a shorter or easier email address. There is only one problem -- it is the worst idea ever; from a security standpoint, this is a huge blunder. They are making it easier for identity thieves and hackers to steal Yahoo clients’ identities and information. For example: A Yahoo user died a year or more ago and a devious person knows of this. They can stake a claim to the inactive email address and begin intercepting emails that were intended for the deceased party. They can then impersonate the deceased party to people who aren't aware that the person died -- the potential is endless. They may be able to access 3rd party sites (example: Amazon.com) by resetting the deceased party’s passwords. After all, many sites only require access to the associated email address to reset a password. They could even potentially access other email accounts if the Yahoo email address was listed as a secondary account. However, this is not limited to professional identity thieves, it can be stumbled upon by accident. For example: Someone stakes claim and wins an expired Yahoo email address with good intentions. All of a sudden, they start receiving email that was intended for the previous owner. Whether the new owner is honest or not -- it is a security issue, the content of the email is compromised. What is the new owner to do? Most importantly, it is not only the previous Yahoo email address owner that is affected. The party sending the emails can be impacted; someone sending sensitive documents intended for the original Yahoo owner will have no way of knowing that they are going to the new owner. They could contain personal data, secret plans or other important things. This can seriously jeopardize a business or agency -- there may be a financial impact if business secrets are leaked. While Yahoo’s intentions seem to be good, its negligence to security is unsettling. This oversight can cost the company its reputation and user trust. When it can be avoided, email addresses should never be recycled. Yahoo is choosing fun over security. Potentially, after mid-July, you can never be 100 percent sure of who will be reading the email you send when the recipient has a Yahoo email address. Will you still feel comfortable sending information to a Yahoo email address? Tell me in the comments.